[SatNews] The contract retrofits the entire air vehicle fleet, ground systems and spares. 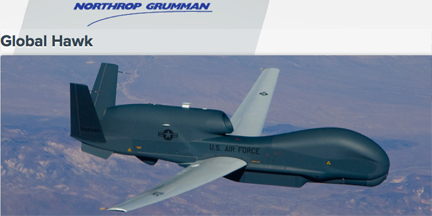 The Department of Defense (DoD) has announced that Northrop Grumman Systems Corp., San Diego, California, has been awarded a $33,872,569 modification (P00045) to previously awarded contract FA8620-10-C-4000. This contract is for International Maritime Satellite/Communication Security upgrade retrofit to the entire U.S. Air Force Global Hawk air vehicle fleet, ground systems and spares. Work will be performed at Palmdale, California, and is expected to be completed by December 31, 2016. Fiscal 2012 aircraft procurement funds in the amount of $33,872,569 are being obligated at the time of award.